Last spring we took the plunge and upgraded my whole crew to new phones. We've been very happy with the decision with one exception. The phone cases we got. The girls all wanted cases with stand built in. In theory I think it's a great idea but in practicality, well, not so much. All the stands snapped off or broke within just a week. 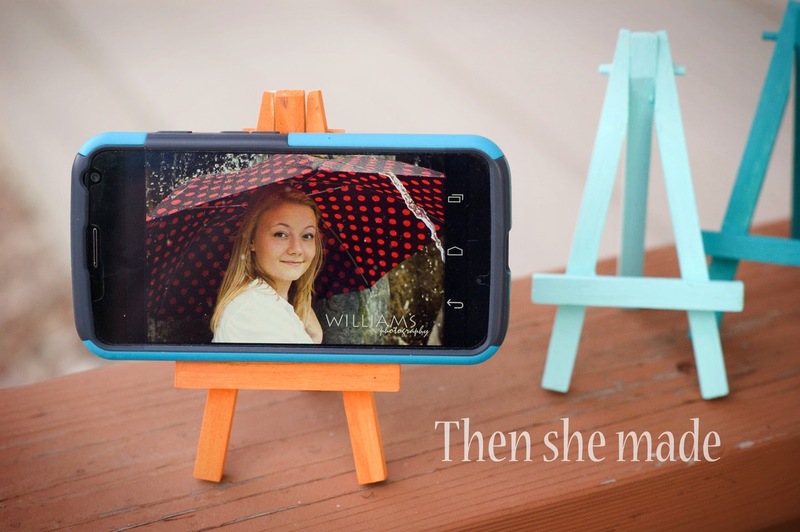 I didn't have a stand on my phone case. Which, after seeing what happened to theirs, I was glad I didn't. However, I use my phone for music, tv shows, and for watching movies all the time and I found myself having to be creative in ways to prop it up. And, since I've been working on the computer a lot lately doing photo edits and I have my phone near by, I really wanted something other than a pile of CD's and book to hold my phone up. Luckily while roaming the aisles at Walmart I found the perfect, and probably cheapest, solution ever. 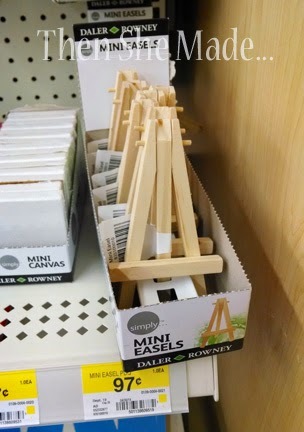 Yes, I could spend $14.99+ for a phone stand/charger or I could pay $0.97 for a super cute little easel. Ya, it doesn't take much to figure out which option I went for. Only, I went overboard and I now have four of them. Yep! I'm a big spender like that. Having four means I can leave them in the most used places. Near the computer, by the kitchen sink, on my night stand and in the bathroom. 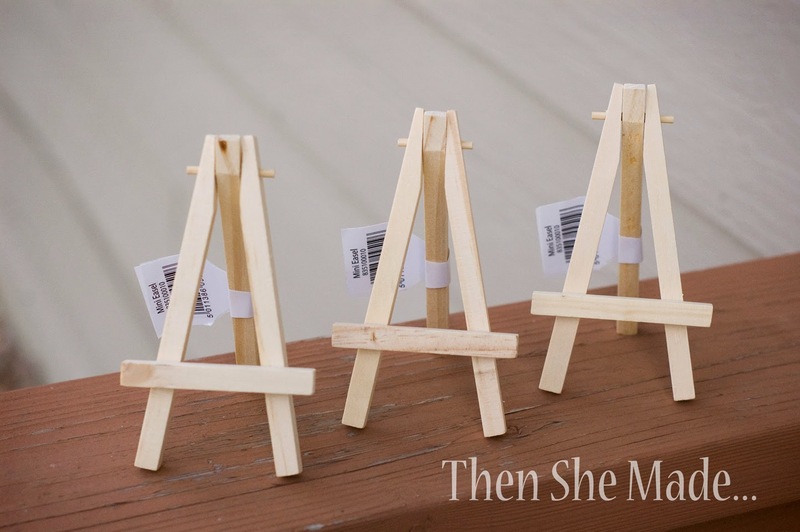 The easels come in un-treated, un-painted wood which means you can totally get your craft on and go crazy personalizing them. 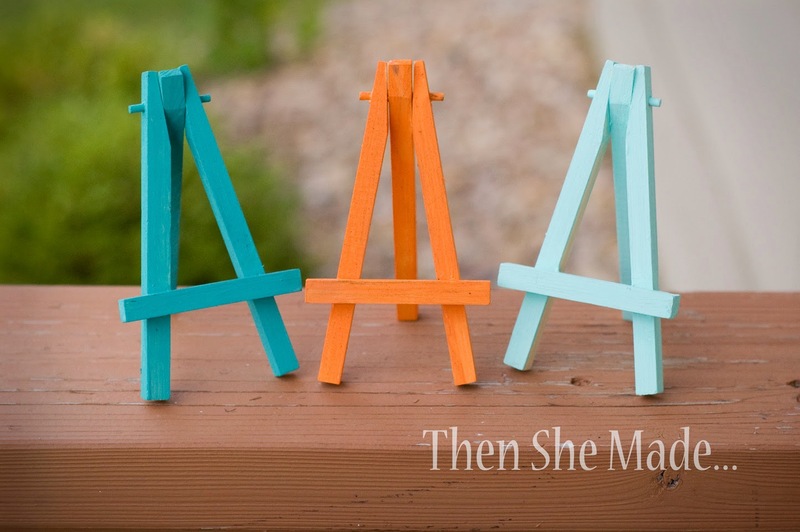 You can paint them or stain them any color you'd like. You could add rub-ons or decals or you could even leave them plain, but that's kinda boring. Life is too short for plain. Go for color! I went to work and painted mine. 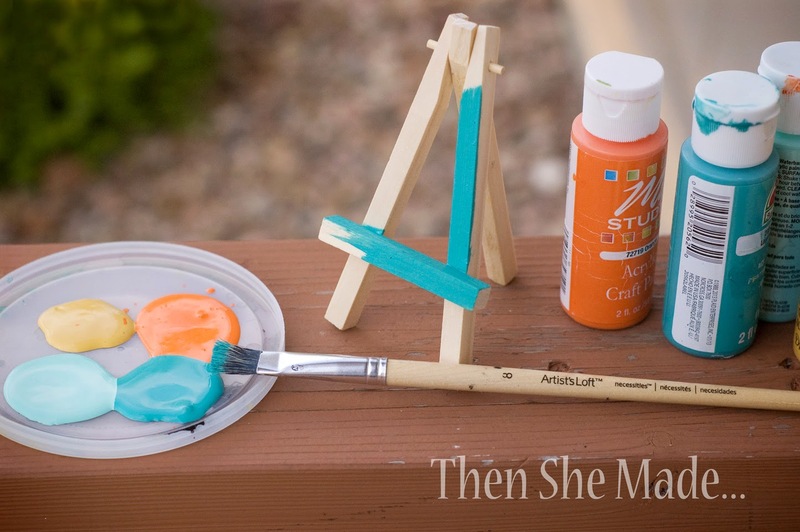 No special tricks or instructions here other than be careful not to paint too much where the hinge is or you won't be able to adjust the angle of the easel. And, there you go. 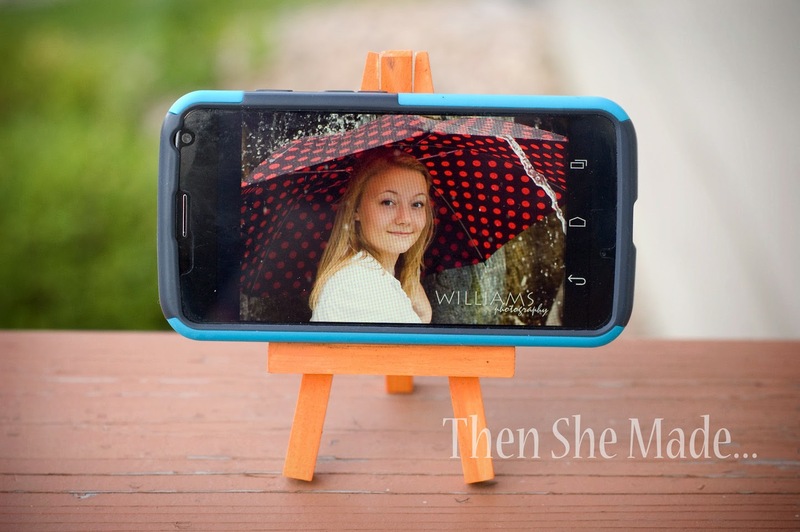 You now have the most frugal, but pretty cute, little phone stand ever. And, unlike the stands in the phone cases we bought, if it does break you aren't out much. So far though, these little guys have been pretty durable. Oh my gosh! Such a great idea, thank you for sharing it. I recently cancelled my landline and have been trying to think of something cute to keep track of my cell phone. I love your idea. Thanks again!